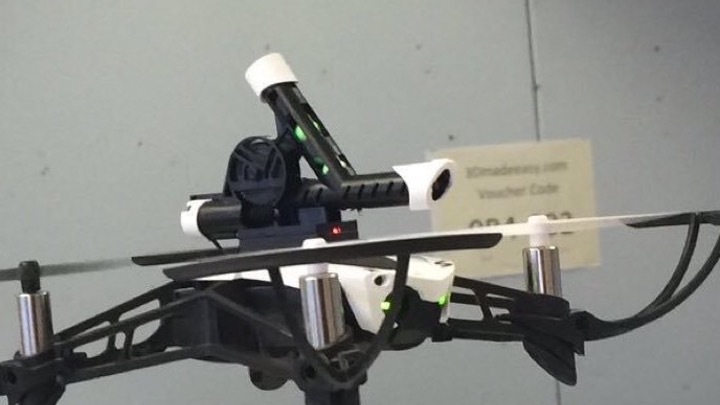 1) 10x Codeable' parrot mamba drones' to build on successful a pilot programme " Coding Danny Da Drone" (for new first year pupils (aged 11-12) that is delivered by Senior 6th year pupils (aged 16-18)) that introduces to digital skills, digital skills and coding in an exciting and captivating way. 2) 8x parrot mini drones to create component parts and use 3D printing so that the senior pupils can have progression by Designing their own Drone with AutoCAD inventor; manufacturing it using our 3D makerbot printer, assembling and testing their drone. The Forfar Academy school role is 1200 (11-18 year old Co-Eds approx 200 in each year) and are drawn from 8 primary schools in a rural community around the market town of Forfar, Angus - parts of which are in SIMD 1&2 and youth unemployment runs at 18% - 2% above the national average. Primary school pupils have had little career education and have had little insight in to STEM, digital skills and coding based skills or careers. This is where the main thrust and skills gap is in our 'local skills plan' is; and where future jobs in our community lie. As a design Technology Department we would like to build on the extra curricular opportunities we provide to enhance the Employability skills and career prospects of our Young People by providing exciting and engaging activities that involve 21st century STEM skills and mentoring links with local engineering employers. These activities are role play and give the Young people a valuable simulated work experience that enhance their employability and technical skills in real life contexts- solving challenging problems within groups using STEM knowledge, as well as presenting and reporting their work. Our pupils are unique in that when they first try our activities they primarily want to be soccer players, dancers, actors and teachers! After our workshops all Young people have considered careers in computer programming, engineering, gaming and science based careers. We provide progression for those that are genuinely interested and many are inspired to go on to STEM based courses and careers. We keep in touch with these Young People who come back to visit and inspire the next generation with career talks and technical advice with our STEM ambassador programme. Young people find drones exciting and almost magical as they fly and are controlled without wires. They ask questions and are extremely curious about how and why it works. They are drawn to coding it do stunts and fly to accomplish numeracy based missions involving calculations with distance in 3D space and time. The pupils learn through play and interacting with their peers and are not really conscious of the vital skills they have picked up until they are highlighted. Learning of complex components and theory is fun and engaging. More young people and a larger percentage of girls will choose STEM based subjects; FE courses; and be inspired in to taking career pathways into areas where there are major skills gaps in industry. 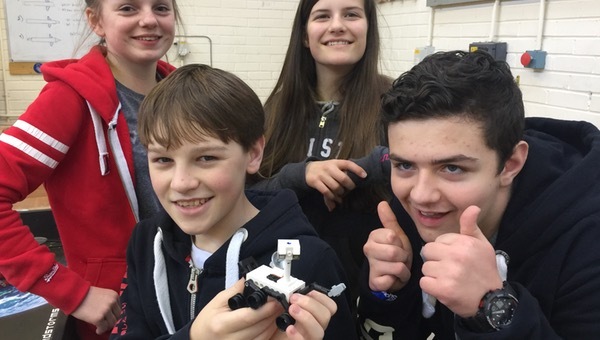 Our donation will go into buying resources to expand our successful pilot programme into a mobile STEM workshop that can be delivered to 20 people at a time. It will be differentiated to the ability of the pupils taking part. Drones use cutting edge technology such as accelerometers and need 21st century coding and computational thinking skills to program them using modern drag and drop software. The Forfar Academy school role is 1200 (11-18 year old Co-Eds approx 200 in each year) and are drawn from 8 primary schools, primarily a rural community around the market town of Forfar, Angus - parts of which are in SIMD 1&2 and youth unemployment runs at 18% - 2% above the national average. I am an Engineer that became a teacher 15 years ago to inspire young people in Engineering careers. I found that project based learning not only instilled relevant STEM knowledge but increases employability skills of pupils. Working with local employers gave us knowledge of the local job market and increased chances of positive destinations of the pupils I worked with - through apprentice schemes and further education. A thank you note from me (the teacher).